A range of recent indicators, including strong job gains, points to additional strengthening of the labor market. The Committee currently expects that, with gradual adjustments in the stance of monetary policy, economic activity will expand at a moderate pace and labor market indicators will continue to strengthen. Elsewhere, employment has been cited as one of the strong points of the economy. Companies have been hiring and creating jobs by the millions since the Great Recession, bringing total “non-farm employment,” as defined by the Bureau of Labor Statistics, from a low of 129.7 million in February 2010 to 143.6 million in February 2016. That’s nearly 14 million more employed folks! A lot of them might be part-timers, and there are some with more than one part-time job, and some have been counted twice, and many people are mired in the vast category of the “working poor.” But some sectors in some parts of the country have been booming and adding jobs that pay well, for example the “tech” sector, which includes all kinds of app-companies that are actually just trying to sell something to consumers, such as a craft-brew delivery service or Uber. Some of these “tech” companies, from startups to broken icons like Yahoo, are running into trouble and are axing jobs, and so some unease has invaded the tech sector, but other “tech” companies are still hiring. And per our most recent employment reports, the party goes on. But in July 2014, a party pooper showed up. That’s when total business sales in the US peaked, according to Census Bureau data. Since then, total business sales, which include US sales of all companies, not just the largest in the S&P 500, have fallen 5%, to $1.296 trillion in January, about where they’d been two years ago! This has been confirmed by Corporate America. Revenues of S&P 500 companies, based on their earnings reports as parsed by FactSet, fell 3.6% in 2015. Yet, despite sales cascading lower for a year-and-a-half, total non-farm employment during the same period has risen by 4.48 million jobs. During the Great Recession, which officially started in December 2007, the peak in employment occurred in January 2008. Then employment began to drop. But total business sales continued to grow until July 2008, before falling off a cliff. Sales bottomed out much faster than employment, hitting the low point in July 2009 before bouncing off in a “V-shaped” recovery. Employment didn’t bottom out until February 2010 and then took its goodly time recovering. This too is logical: businesses, after such a collapse in sales, and the big losses that came with it, are going to be prudent before staffing up again. So companies just went through their first annual revenue decline since the Great Recession. And earnings got hit hard. For example, for 2015, the 30 companies in the Dow have seen their earnings per share, as reported under GAAP, plunge 12.3% [read… For Stocks, a Reality Too Ugly to Behold?]. Now companies are under pressure to stop the earnings decline. They’ve already done the best they could to cover it up with “adjusted” earnings that they manipulate however they see fit, in whatever creative way, without rules or even common sense. But this type of earnings whitewash – which we’ve lambasted for years – is getting so crass that even SEC chairwoman Mary Jo White came out today and said that new rules might be necessary to “rein in” these sorts of shenanigans. The SEC is worried how these fake numbers are being fed to investors in lieu of the somewhat more realistic GAAP numbers. Companies cannot whitewash these ugly numbers forever, and they can’t blame the strong dollar and the weather forever, though admittedly they can blame them for a very long time. So they’ve been praying for more demand, and they’ve been hoping that central banks can somehow deliver this demand. But that just hasn’t happened yet. And when they realize that the prayed-for growth in demand isn’t materializing, companies will have to deal with their earnings problem the other way: whittle down their expenses. For most companies, wages, benefits, and other forms of compensation are their largest expense item – and the biggest target. They even have a procedure in place to perk up their stock price: they announce mass layoffs with impeccable corporate speak and a big “non-cash” charge to their earnings to pay (with cash, of course) for the costs of those layoffs and all kinds of other things. Since the charge will have the moniker “non-cash,” it will be removed from “adjusted” earnings and will be ignored by analysts that will then hype the expected lower expenses related to those job cuts. Then begins the heart-breaking work of laying people off. That’s how it worked at every major sales decline. Unless a miracle happens to demand and in the sales departments across the country, it’s what is bound to happen again. Of the 14 million new workers added, how many of them lost their homes of the 15 million homes that were foreclouded since 2007? Most of the people who lost their homes did so because they lost their incomes. In fact, all the people I know who lost their homes did so because they lost a business or a job. That includes me. One guy my husband knows lost a business where he employed 75 people. When my husband met him he was making $14 an hour and was lucky to have a job. …and what did you do to fix that? Did you get set of new skills or you still think you can make in todays world with set of yesterdays skills? Sheeple wake up and stop bi**ing about low wages, lost jobs etc. Well, yes but you have to do plumbing and similar jobs. Right skills are still in demand and you can find job ANYTIME. Business go bust any given minute of the day, so what is big deal about it, and hundreds of new business open every day. I made fortunes during worst times in last 25 years. How? By getting right set of skills, investing in my education and working smart (not hard) using my own head (not bloggers or TV host crap) and investing in what my brain told me to do. People lost homes because they bought what they could not afford in first place. It is going to happen again, just this time will be lot worse because homes are more expensive. We bought our home with a 40% down payment and owned it 10 years before we couldn’t afford it. We lost our savings trying to save our home and business. As far as retraining, I already have computer science and economics degrees. My major in applied mathematics couldn’t get me a job teaching first grade math. To do that you don’t have to actually know math you need education credits. If you are wondering why kids don’t learn anything anymore, that’s why. The recession hurt tech and finance, as well as, construction and everything else in Florida. We had to sell almost everything just to eat. Don’t be so quick to judge people, sometimes bad things happen to good people. What I resent the most is that the crooks who orchestrated this disaster are still in power. don’t you just love making a fortune when many others are in the worst possible economic times of their lives? It’s just awesome right.. so many people lost everything.. and a few sharp and clever people like yourself.. make a freaking fortune. Employers do not hire on the basis of course work. They want actual paid work experience. Employers also don’t want to hire older workers. They want their recent engineering grads young and cheap. I retooled for a new career in my late 30s and successfully changed careers. But I doubt I could do that again. I attribute some of my success to being in the right place at the right time with the right skills but we don’t usually get to pick those things. I consider myself fortunate when I think about the financial trajectories of friends, relatives, former coworkers and school chums. Many of them haven’t done well. Some indeed made choices which contributed to their bad outcomes but most did everything right and still did not enjoy a middle class lifestyle. As for people buying homes they can’t afford, what does that mean? That they took out a mortgage then lost their income? If that’s what you mean, practically no one could afford a home. To which I reply: BULLS***. Maybe you should take a trip downunder and see the real world. Plumbing……….you need a piece of paper here that states you are qualified. Only a four year apprenticeship program. I guess that is why over 35% of the people here in Australia that are on un-employment benefits are in their 50’s. And how are people in their 50’s supposed to get new skills when they can barely afford to survive on what piss poor earnings they have, if they are lucky, or living off of accumulated savings that are needed just to get by? Those new skills would make one bit of difference to find a job. Yes, the tail end of the ANZAC Baby boom, is get slaughtered, and ripped off, at every turn. They have been forced to pay into the system all their lives, with high taxes, now the retirement age is going up, and the benefits are going down. Whilst their reemployment opportunity’s are big fat Zero. The 1957 on will never get the pensions they were forced to pay for. Canada and England have the same Issue. Thats why so many off the single men in that group, become beach combers, they know they will get nothing from the system, so why should they continue to slave, and pay into it. Serious criminal offending by that group, is also on the rise. Another reason why demand is dropping, a large segment of that group will buy nothing they don’t absolutely have to. Both employed and other. The number of single men over 50, living on boats and fish, in New Zealand, is increasing weekly. No wonder Americans consume 80% of all pain killer production. Just reading stats makes you sick to the bone. I just toured a 16 million dollar second or third home being built on the golf course adjacent to the Jackson Hole ski area. The owner sold his software start-up to a Berkshire Hathaway subsidiary. Kind of an upper middle class home for the area, certainly not in the class of ones owned by the individual who financed the Swift Boat fraudulent takedown of Kerry in the last Bush election and hosted Cheney during his annual fishing visits, or the one owned by the ex-director of the World Bank. But hey, it will employ 15 carpenters with green cards for a whole year. What is this whining about an economy that doesn’t create jobs? I’m a bit amazed that such a hazy stat as ‘total jobs’ is used by the most advanced information technology place in the world -and by a media that is stat crazy. ‘Total remuneration’ would be a qualitative measure that would be more useful. The implication of ‘a job is a job’ is that all are of equal importance to the economy- when obviously the well- paid job can create other jobs as the higher remuneration is spent on manufactures or services. All govt stats are crazy. Just look at the household unemployment survery. Several years ago I did a poll, asking everyone I knew as to whether they’d ever been contacted at any time in their life by the BLS. (dozens of people, most home-owners). Including myself – Nada, null, zero had been contacted. So looking at Wolf’s very ‘nice’ graphs I wonder if it’s all fiction. The economy is NOT a physical process that obeys universal laws. It is NOT Newtonian physics, its at best pulp fiction. There is no ‘economy’, its just piles of stuff being moved around according to the whimsical hungers of some demented chimps. I too am perplexed by the way employment ( and other economic data) is calculated by the BLS. As noted, in a world where banks keep a continuously updated balance for hundreds of millions of depositors, keeping track of who is earning income and from where should be equally available. Of course a small number of people working ‘under the table’ would escape notice ( until cash is abolished) but in developed nations this is a small number. workers at $20,000 ( and counting the $10,000 saved as profit) is hardly increasing either jobs or prosperity! Then there are the diffusion indexes which so much store is put in. Maybe some companies diligently complete these surveys but I doubt many do. I imagine most companies would be inclined to fire an employee in a position to know if he/she spent their time filling out surveys for some universities PMI index. They use the ‘total jobs’ metric precisely because it’s less aggresive than ‘total remuneration’, which would be devastating. Here in Spain it’s the same thing. ‘Total jobs’ are at 2013 levels while ‘total remuneration’ is approximately 21% down from the same date. Now that’s a scary number. 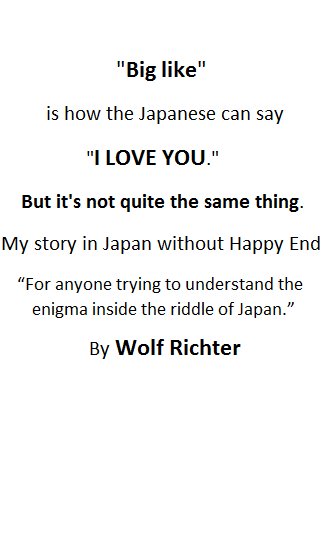 OK . . .THAT, I understand. Thanks. Minimum wage job growth. We’re living now. Yada yada yada. Every day we’re bombarded with more and more negative statistics. It’s endless just like the Central Banks’ QE efforts. The bottom line is it just doesn’t matter to Wall Street or Corporate America. They’ll just keep finding new ways to twist bad information into seemingly good. I’ve been reading the same crap now for a long, long time. Sales to Inventory ratios, Container Freight and Baltic Dry Indexes. P/E ratios, Non-GAAP manipulated earnings. It’s now at point of who and what do believe anymore? The media and most of the pundits on social media are a bunch of lying douche bags telling you this and that. We know better but does it matter? Hell no it doesn’t. From what I’ve witnessed during February and March, the people that run the Global show can keep the charade going in perpetuity. To them who cares if everyone else is struggling and getting desperate? They aren’t. Life is great since 2009 and the party train shows no signs of slowing down. Last week’s ECB and today’s FED fiasco are prime examples of it just doesn’t matter how bad it actually is. The worse it gets the more they like it because it means they can pile on more and more debt. Because there is no reality anymore, and all these statistics that make it appear that things are bad are in effect totally irrelevant. Today’s FED minutes can be summed up in 4 words “So What’s In Your Wallet”. The current election is confusing the establishment because they have no idea what is actually happening on Main Street USA. They have all been so insulated for so long, they think people are just stupid not to want them anymore. The disconnect is now playing out in the political sphere more so than the economic sphere. When Trump talks about cutting immigration they don’t even understand why that resonates with the voters. OH… I disagree with you, they do indeed have an idea of what’s going on. Most of what you’re being bombarded with in the media is purely a very planed and calculated attempt to keep you exactly in the state you are describing, “confused”, plus angst and anger. The scum bag establishment has been watching the raw data for many months now.. they could care less about how many delegates or how many states What they’re watching.. is the number of voters….waking up..
Those 54 jets that all descended upon a location on the East Coast last week, filled with scum bag establishment scourge.. You don’t think the did that because the just wanted to party do you?.. They hacked out all kinds of plans… none of which you or any other American is gonna like. The media is irrelevant. All the money spent by Jeb and against Trump was wasted. Nobody is watching. The joke is on them, I guess. Allow Hillary to put in the effort to get all the delegates she needs to be nominated but, just before the Dem convention, allow Attorney General Lynch to indict her. Then, while Hillary is getting fitted for an orange jump-suit, throw Biden in as her last minute replacement and have all Hillary’s delegates pledged to him. Since Biden is completely manageable by Obama from behind the scenes, O gets his third term. This isnt 1963, tricks like that, dont fly any more. A stunt like that would put trump/sanders/Cruze in the white-house. Any of them, will take O bummers legacy, along with all his executive orders they dont like, revoke and shred the lot. Overnight. Valerie Jarret takes her orders from Tehran, Tehran probably supplied the money to buy the 08 Election for their puppet. You left out that O bummer dosent even go to pee, without Clarence, from Valerie Jarret and Mooschell. So how are they going to ensure bidden jumps to Tehrans tune. To many puppets in the chain, has to fail. Three or four puppets are hardly too many. Especially when you consider they are all made members of the Obama crime family…and that Hillary (or Elizabeth Warren or Bernie Sanders) is not. I think it all depends on where H is in the polls around the time of the Dem convention. I agree Petunia. Some of my favorite examples of the ivory tower disconnect are the quotes that come out of Davos. The height of arrogance was when that pet rock Jeb Bush was paraded out. Trump has channeled the anger to his advantage while the power brokers are still in cognitive dissonance. The economy depends on ever increasing debt to grow. To increase debt and credit you need to devalue the old debt with inflation. To create inflation you need to flood the financial system with liquidity. The cost of doing business is slowly devaluing your currency. The wonder is that anyone would expect the Reserve Banks to stop. They will continue their present course until they destroy the currencies. At that point we will start again fresh with new currencies (New-Dollar, Real-Euro, Ultra-Yen and etc…). My brother worked in a private equity firm before 2008. He was making 150k per year. During the great wealth transfer (peasants to lords) he did not have a job. He now works three part-time jobs: Motorcycle instructor, barista and doctor’s office manager. That’s triple the number of jobs in 2007! Times are really sh**ty. Don’t let the lying oligarchy fake you into buying at the top of the stock market. 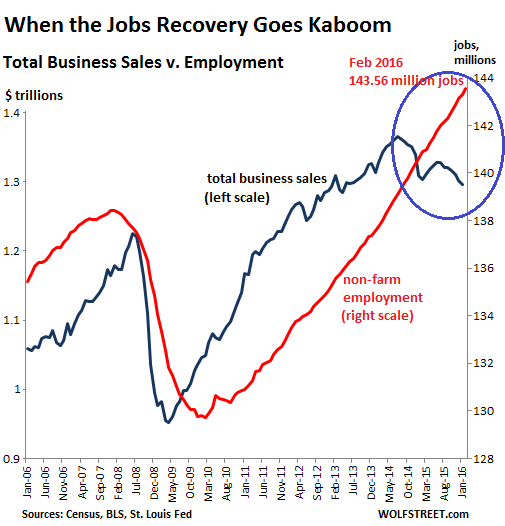 Anybody who follows ZH or Stockman knows that the “jobs numbers” mostly refer to the “waiters and bartenders” economy in the USA today. Most good paying jobs are now arbitraged to the lowest bidder in the globalized world trade evolution. But one comment on ZH clarified a “second derivative” to this statistical nonsense – that the low paying part time jobs are subject to thrash – people are constantly changing these jobs and these are counted by the gubbermint as “new jobs”. So the “hire” number is inflated by this thrash. And the latest demographics indicate that the emerging economies are busting at the seams with the 15-35 year old cohort, while the developed economies are stuffed with old folks. So there is basically an infinite supply of cheap workers out there at the entry level. Add in a little automation (e.g. self-driving trucks on the freeway) and you have an environment for long term problems for a “living wage” in the developed economies. Therefore Nobody can afford Nothin’. Deflation R Us worldwide for my lifetime, and probably yours – as prices move down to where the overstuffed inventories can actually get moved to households already too stuffed with stuff. After the surge in recent short squeeze and the rebound of Dow back to late 2015 numbers, I am convinced nothing is going to happen until after November. If you are a bank and you want your candidate to win, won’t you tell the Fed to not give out any bad news until after s/he is elected? IMO, the tech bubble is related to how much the Principals and their proxies, the VCs, panic. They are beginning to panic alright. Just look at Nutanix and Coupa that were all set to cash out back in Jan 2016 and then pulled back on the advise of Goldman and Morgan Stanley. But the mass panic of 2008 hasn’t set in yet. Why is that? I think it is because these insiders know that nothing is going to happen now. As it is, there are supposedly angry voters who are not taking orders from the press or TV anymore. So, just as Ben waited for 2013 to roll in before he did his QE, the bad news will be delayed till 2017. The only layoffs happening till then will be in corporations and the Shale guys. But we will not hear about either on MSM (Back in 2014, NPR actually claimed that falling oil prices is a good thing — http://www.npr.org/2014/10/16/356588376/crude-oil-prices-drop-as-saudis-refuse-to-cut-production). The tech companies are walling off all their divisions to insulate themselves when the bubble bursts. The breaking up of Google, HP, IBM, and others into separate lines of business is being done to save the parts that can be saved when TSHTF. Even they see the writing on the wall. LOL. You want us to play music with the “Think System” don’t you Professor Hill? Maybe 1 lady learnt something from Enron. 1, lonely, female, voice in the wilderness. The US consumer economy is dying a slow, but accelerating death. The over 70% of consumers in the US, that have run out of money, are now running out of credit. Wall Street’s fudged numbers are all about stock buybacks and accounting tricks, but the Main Street economy’s numbers are about high health care costs, student loan debt, subprime car loan debt, higher rents, higher insurance rates and, for those who believe they own their own homes, higher mortgage debt and higher property taxes. Main Street Americans are probably less than two missed paychecks away from going “kaboom’. The US needs to jump start the economy. Sales of all US companies have fallen 5%, and revenues of S&P 500 have fallen 3.6%. Why? Because there are not as much wages being earned by the “growing number of employed” workers. It is a cycle that snowballs. Companies see sales slow, then lay off employees, and lo and behold, sales slow even further as other companies do likewise. As other commentators have opined, the uber-elite 0.01% don’t give a damn. In fact, to a degree, they prefer it, because when they do need new hires, they can pay less for them. Of course, they keep the numbers crunching for Wall Street, and cash in on stock options and bonuses. The two party status quo reinforces this by refusing to invest in our infrastructure which would put Americans back to work making our nation’s economy larger, improving the quality of life for our citizens, and yes, even increasing tax revenues. Interest rates are at artificially low levels, so investment in the USA would be economical. I hate the national debt, but worse than that is the hegemonic military spending of this nation. For every fu#@ing dollar spent arming ‘moderate resistance fighters’ in Syria, one thousand dollars should be spent here at home on roads, bridges and electrical distribution networks. Is there an end game to the economic stagnation other than a 1930’s style WPA program? This citizen wants his tax dollars spent at home employing fellow Americans, not spent on bullets for guns that our troops cary around on military bases all over PlanetEarth. We should learn how to operate like Switzerland! Replacing high-paying, full-time jobs with twice the number of part-time, low-paying jobs does not constitute a ‘recovery’. Historically, unemployment has been a lagging indicator. The average time from the low in unemployment to the next formally declared recession is less than four months going back to the 50s… and of course the formal declaration of recession lags reality. I believe that the focus on unemployment as an predicative indicator has its root at the Fed. The issue is about tax rates and offshoring of good paying jobs. The tax code needs to be thrown out. Create incentives through low or no taxation to generate jobs. Make it lucrative for the businesses to bring back jobs to the US, rather than off shore them to third word countries. Employees in high paying jobs pay more taxes, buy more goods and services. That’s been tried. It failed. It’s been failing for years. Those policies have clearly been shown to generate deficits, not jobs. I watched the CEO of Nike for a while on CNBC this morning and he was all in for the TPP. He spoke with a straight face saying the trade agreement would help bring jobs back to the USA. Of course, Nike makes their shoes in Vietnam. We used to use tariffs and quotas to regulate international commerce, but now TPTB use ‘protectionism’ propaganda to argue against such measures. China, for example, dumps steel into the US (of low quality for the most part) below the cost of production. Korea subsidizes their cars sold here, and has tariffs on their domestic market – yet we pay for their military security go# damn it. The IRS tax code is completely insane, and I think we all agree with that. Apple keeps money offshore to avoid taxes, and manufactures their products in Chinese slave labor conditions. Hell, I’m typing this on an eight year old iMac. My point was that the US needs to divert funds from oversees, and put it to the infrastructure at home. I just drove back home over the rebuilt 35W bridge that fell down into the mighty Mississippi on 1 August 2007. How many more lives will be lost due to lack of investment in the next decade? That investment would kick start our flaccid economy. Think of it as Viagra for the GDP. Nike is experimenting with making shoes inn the Us again of course the plant is completely operated, by Robots. The Us dosent need to divert taxpayer funds from anywhere. QE 2 and 3, in 20/20 hindsight when in the wrong place. The way America is financed, all that needs doing, is government underwritten, infrastructure, tax free, anonymous, low interest, transferable, bonds. You would have to Beat the investors away, with riot police. And make it an, American made, Full American tax paying contractor, American citizen worker program. It worked when FDR did it. Only change would need to be, that private management entitys oversees the contracts, and work’s, as state and fed agency’s are controlled by state unions, that will milk the projects. O bummer didnt do it, as he wanted to give handouts, to his north eastern voters, who will not go and do this work, where it needs to be done. Dosent even need to be a huge program just a steady one, outside the northeastern city’s, which will bring small town America back to life, lifting the economy from the bottom. The story of the 35W bridge collapse needs a perspective. In 2001, the University of Minnesota was aware that the bridge had structural problems. The idiots who’d designed it used flat 1/2 inch gusset panels instead of heat treated stainless steel gussets that had a 90% angle reinforcement bends to shore up the stressed portions on the bottom. These are what broke and caused the bridge to fall. In 1999, MNDOT installed potassium acetate dispersion systems to prevent black ice, and this stupid scheme furthered corrosion of the gussets. Republican governor Tim Pawlenty hired URS to inspect the bridge in 2003, and in the summer of 2007, work began to reinforce it. Gov T-Paw was warned of imminent danger, but waited to authorize funds because of his GOP ‘tax cuts for the rich and public spending fiscal conservatism’ mantra. The weight of the construction equipment combined with the weight of traffic and vibrations of the repairs cracked the gussets, and people died. Pawlenty had scheduled the bridge to be replaced in 2020. It got replaced earlier. That’s the story. I got a Bachelors degree in Physics at the U of MN in 1985 and I am a Libertarian for what it is worth. Our nation’s bridges are death traps. Spending on public infrastructure is a needed function of government. NOTHING done by FDR ‘worked’ until the Japanese bombed Pearl Harbor. The Japanese only bombed pearl harbour, after, FDR FORCED them to. Another thing FDR did that worked. He engineered it and it got him what he wanted, into the war in Europe and Fighting the Japanese to Aid china. IMHO FDR was not a good guy. However, What FDR did worked, it was a slow fix to build an economic base that would last. The US economy was recovering pre 7/12/1941 due to FDR. The 7/12 event, started the US economic boom we are now in the tail end off. What FDR did worked long term. We have these short bubble burst cycles now, as everything is MAX result, MAX profit, NOW. Which is good for bonuses, and short term shareholder gains, but absolutely useless, at building or maintaining, a long term stable, prosperous business, or Economy. These bubbles are a symptom of the dying US Economic 1941 boom, due to gross Economic mismanagement, and Cronyism. ERG, War production was a huge economic engine. But, many of FDR’s programs benefited lots of folks and frankly kept many from starving. I am old enough to have had conservations with people who experienced these programs first hand. The part the war played in the overall economic recovery was not lost on them, but they also credit the actions and programs that worked as well. employment and business sales in chained 2009 dollars. No business reports sales and earnings in chained 2009 dollars. That causes all kinds of distortions and leads to some pretty silly results. I’m in my late 50s, with an engineering degree. But my main skill set is that I’ve done engineering in a BROAD set of industries: oil, gas, renewables, solids handling, operations, start up, you name it. I’ve done work in food processing, natural gas, pharmaceuticals, pilot plants, it goes on and on. Twice now I found myself without a job. The first time, shortly after the financial crash in 2009, I was working overseas when I was let go. Before the plane touched down in the USA, I already had a new job lined up. The second time, I was again working overseas and literally shut the door and turned out the lights in the office and was sent packing yet again back to the US. Within two months, I had three job offers. Each was in diverse fields of engineering. And this was when Houston was belching engineers at a record pace. Since I’ve been working back in the states, I’ve turned down several offers of employment in: Fischer Tropsch development, food processing process development, a Process Management position and one or two more that escape me. The lesson EVERYONE should take from this is that you should never EVER limit yourself to one occupation/career path. And what if ALL engineering came to a halt in the USA and finally no one hired me? That’s not a problem for me. I took voice lessons for 10 years and have in the past taught music lessons to kids and loved it – owning a small music lessons storefront for three years. I could do it again.